I began this wrap sweater I described earlier when my son left on deployment #9 for this momma. He has been back for a while but with all the hectic pace of releasing the book I just got it finished. The finishing is the hardest part for me-just like the last half mile of a 5 K or the last two months of a deployment. I get tired! But here it is and I am thrilled to report it actually fits a human-our gold standard of success. And I think she likes it. 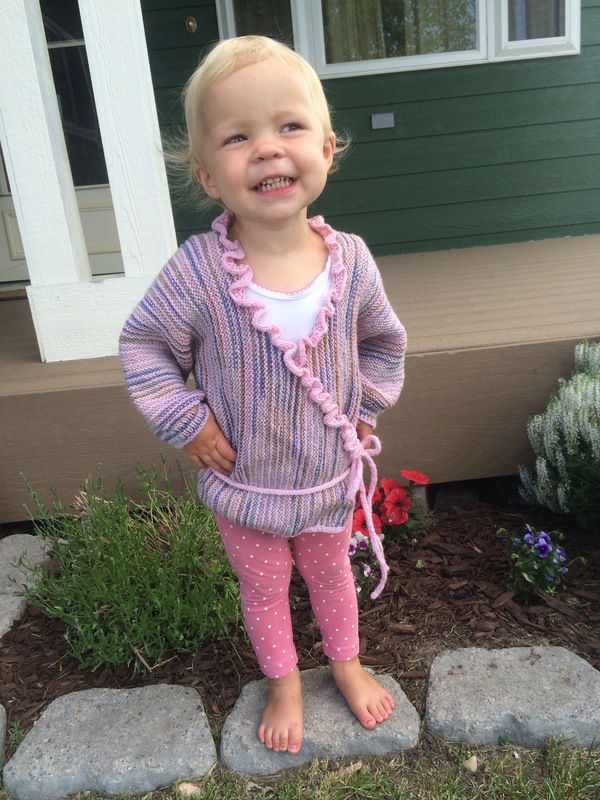 The pattern is by Churchmouse Yarns -the Baby Wrap Sweater. Projects like these (and little faces like this ) help hold me together through the long months of waiting ..every stitch a prayer.